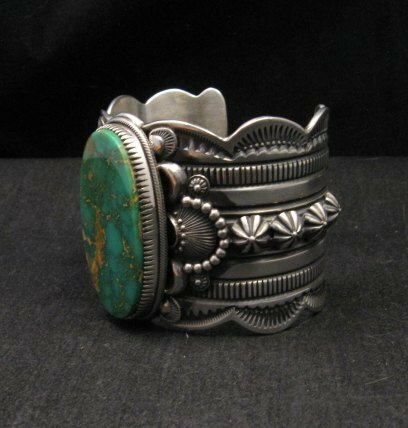 This fabulous Native American sterling silver and turquoise bracelet was created by Navajo silversmith, Delbert Gordon. 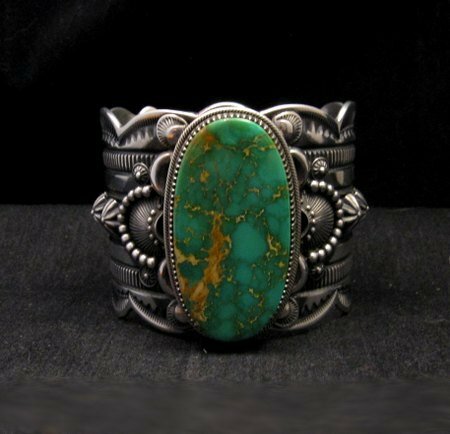 Delbert Gordon was born in Fort Defiance, Arizona in 1955 and he is one of best Navajo artists around. 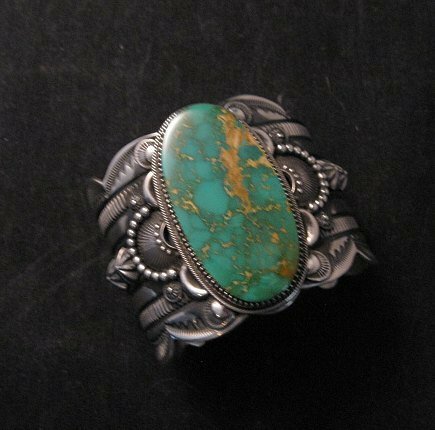 He makes wonderful pieces of Navajo art. 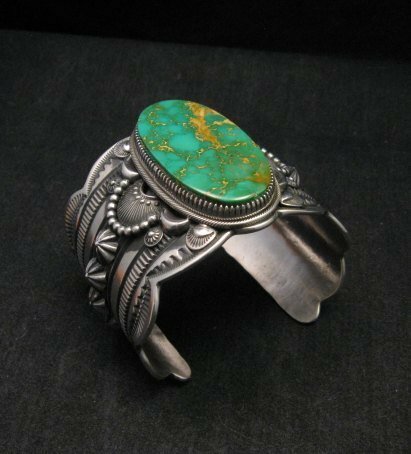 The bracelet features a high quality natural 1-3/4 inch by 1 inch natural Royston Turquoise stone! 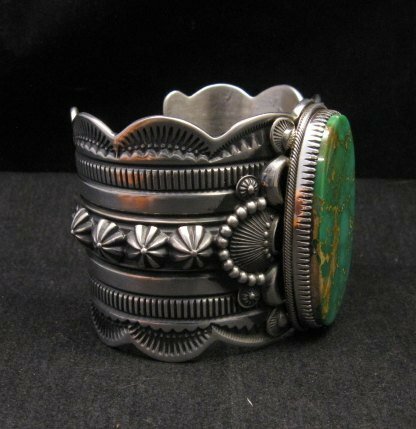 Applied silver adornments, Scalloped edges, deep stamping, repousse and an old pawn style oxidized finish make this bracelet beyond the ordinary! 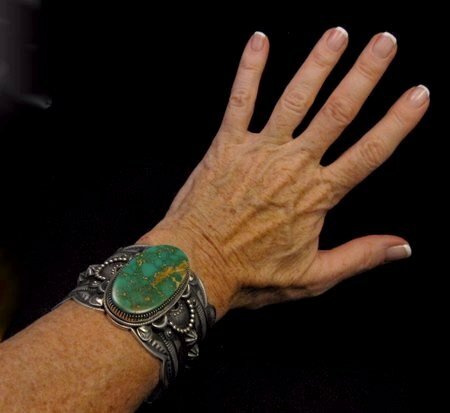 The bracelet measures 2 wide with an inside end-to-end measurement of 5-1/4 plus a gap of 1-3/8. 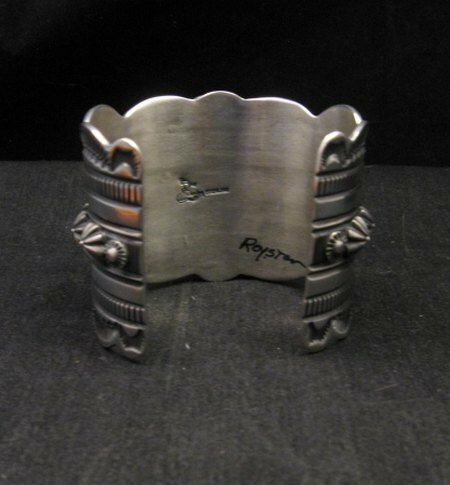 It weighs 135 grams. 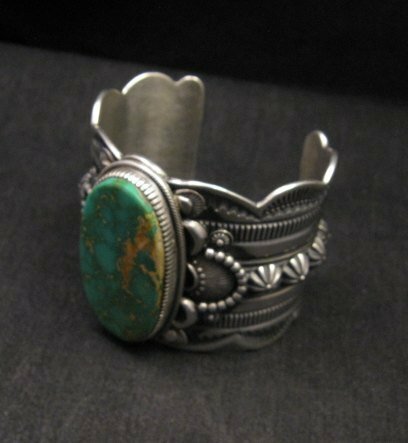 Designed for a larger wrist or to be worn further up the arm.